This is an idea that was told to me a couple of years back and was observed throughout the years from what I can see in the general public around me. I hope you would consider the idea without prejudice. 50 years ago, when a person is ask what would he understand what "Illiteracy" means, he would answer promptly that it would mean that a person would not be able to read and write because of the lack of opportunity to go to school or for what ever reason. Today, there are hardly any areas where the people in our fair country as opportunity to go to school is given to anyone regardless of race or religion. However, a wise man once told me over a cup of teh tarik a few years back that maybe today, the problem of illiteracy is back with us, only this time has evolved in a more sophisticated manner that we no longer see it as a threat. He questioned me, what if a lot of the people in Malaysia today are facing the modern day illiteracy? Of course like most of you readers out there, initially that there is no possible way for us to have the same problem as education in this country is given widely to everyone. How is it possible that we can still be having the same backward problem that once hindered our progress in the past? In the end, I realized that today, "illiteracy" can no longer be seen as person who could not read or write anymore, but a totally different problem altogether. And because of this, we would always think that other countries will always be better than us Malaysians, that we can do nothing to improve the standards of our own country because we honestly believe that too many countries outside our own have already make it big and we can never imagine that we can ever reach to that level even if we tried. A great man that wrote this book once tried to show the Malays of our problems that has been hindering them from progressing. Many would take note of the problem that he addressed from his writing. The problem was, how many would actually say to themselves truthfully, "this guy is actually right?" Adopting the idea of 1Malaysia, I honestly believe that the problem now should be focused not just on the faults of the Malays but rather Malaysians in general. My question then comes, for how long are we going to belittle our ability in comparison to other nations outside out own? For how long would we always believe that our neighboring countries, especially Singapore, will always be ahead of us and we will never believe that we would one day reach the same heights as they have in every aspect possible. Truth be told that many of us would think that life in countries like Singapore, Australia, United States and United Kingdom is great, where they are given the freedom to become what ever they would want to become, the purchasing power of their money is far greater that ours and they would have a fairer lifestyle compared to us. Life, as many would believe, is peachy in those countries. Is life in Malaysia that bad? 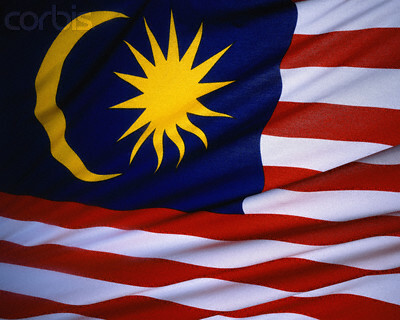 Quite personally I feel that it is a crying shame for those who would honestly think that Malaysia will never be as great as these countries and they would get a better life from countries outside of Malaysia. Maybe it is time for most of us to realize that so many can be achieved in this country, sometimes even better than what we can achieve outside. I've been living outside of Malaysia in many occasions in my life and personally, at least here in Malaysia we are not the outsiders living in someone else's country. I am not going against those who are living outside of Malaysia, I just question any ideas which might make them think that they can never achieve much in Malaysia. It is ideas such as these that stops us Malaysians to grow and progress further and it is ideas like these that we honestly believe is true is what maybe our problem. The modern day illiteracy. The grass will always be greener on the other side, but with some elbow grease, we can make ours greener. nang if you like this post. Thanks guys!